When I first started reading the book it was a big turn off with the number of pages and the plot it had. It made me loose my interest. It was after a few chapters or twisting and turning of the story that I actually made me more curious to read further. The plot is very unusual and way different than what I thought it would be. The characters are so well defined and so well placed. I could actually visualise the scene in my head during the time of intensity the story reaches on. With every specific detail mentioned and the variety of the characters this book is way more than one can think of. Truly one of the best reads I ever had. Thank you J. Giambrone to consider me in proving the advance copy of the book and extremely sorry to delay it so much into reading it till the end. This book is about the author‘s passion for Motorcycles and Traveling. He portraits his various experience of travel to Leh-Ladakh on a Motorcycle, sharing his great experience of riding through the mountain regions, very tough rides and many more memorable experience one would love to enjoy. Good description of the region and itineraries. Especially for those who like to venture Leh-Ladakh on a Motorcycle should not miss this book. This book has elaborate explanations about how the trip is going to be from the starting point at Manali to renting a Motorcycle, to things needed, to all necessary preparation, route map, guiding you easily to the best sights. Making your mind and body prepared for tough trips long before actual travel. A very good guide for new travelers. Author’s encounter with difficulties while riding, facing unforeseen conditions that may be weather or any other break downs. Quite a detailed information about places to visit, people, food etc. The author has a good grip on the readers, as they feel the same feeling as the author does, worried too at times and happy when overcome with difficulties. It’s personal and authentic too. 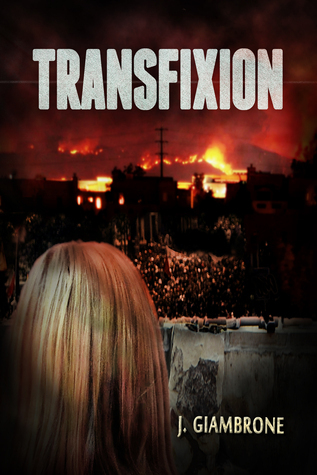 This book is written in a narrative form, a thrilling and exciting experience of the author, very easily understandable and you know what is going on but are unaware about further story/happenings. People mostly in modern times would love to gather information through Internet or by watching many travel channels. But I think for readers willing to take challenges in life would love to read this book and also like to have the same experience which the author had, and then after such a wonderful journey they would also feel some miracles in their life. The practical information in my opinion would be enough for practical planning. I’d recommend it as the perfect background research tool if you really are a biker or of course you can give it a try, but through proper guidance and planning. Yes, I would say there is so much afford put by the author in writing this book, risking himself during the tour, his thorough observation will surely benefit the new travelers. Great daring is needed, with a tough mind and body for such travels. This is a good book to pick up if you are planning a big trip on a motorcycle. It is full of thrill and anticipation on what would come next. 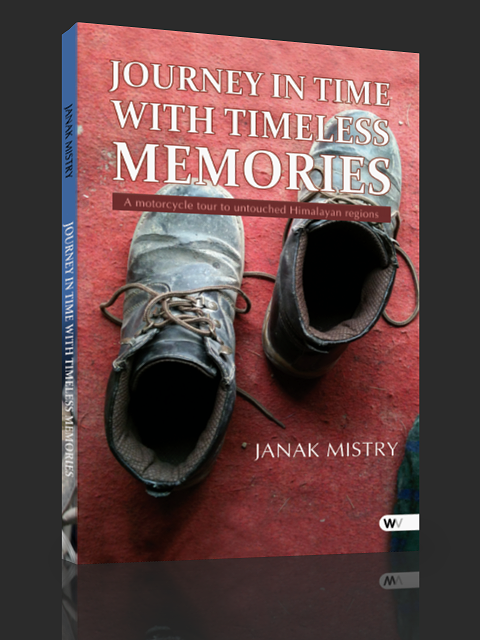 Janak Mistry includes a much needed FAQs section too which gives a good highlight on how one can do a similar kind of a trip no matter what country he or she is from. With every passing day glared in this book it makes you think on what life would be when on this kind of a trip. Anyone who is a motorcyclist and wishes to be on an adventure Leh-Ladakh is the place you need to look at. Pictures are great but could have been better off we could get a clear view of each place showed out there. All in all a great book to pick up and enjoy. Like most people, I don’t know the intricacies of the motorcycle travel, and I really didn’t know what to ask or where to look. Most of the time, I’ll find myself trying to learn it on the go if I’m having a problem. That’s not the best time to be doing that. Use this book to prepare yourself so that (hopefully) you won’t have any problems, but if you do, you’ll know where to turn and what to do. If you want to know the good and bad points of, for example, riding on long distances without spares, this is the book for you. If you want to be depressed and see exactly what a motorcycle can turn you into when he halts for some unknown reason, look no further. Want to know some tips for riding a motorcycle to a do trips like these? Yeah, it’s in there — things that I don’t think most people would even think about. In addition to the trip planning advice, this book provides excellent tips on resolving problems you may have on your trip. I particularly enjoyed the “FAQs section and chapter 12” which has pages that are sprinkled liberally and share real examples of situations that the author has been involved in and the resolutions. A good read and worth every penny spent! At the outset, May I inform you that you are a Breed Apart. . . May be a Lama/Monk in your previous life who had to Revisit your own moorings. The work is thrilling and for me ‘Armchair Traveler’ (71+ now) it has more than satisfied me. I wish I was sitting on a Pillion behind your bike. BRAVO once again for your Thesis like Travelogue. As I read through it feels like going from Now Here to NOWHERE. A review through a Hand-written letter dated 19th April 2014. I just finish to read your journey. It was a very interesting book. I never read such kind of books, but i loved this one. This is my very first book in English. I thought that it would be more difficult for me to read it, but i was wrong. It was really easy to read and understand it. I like the way you write the book. It was like you are talking to me, as a friend do, even if we never talk face to face. I admire your courage to do this trip, and your courage to share this experience of yours in a book. It takes guts to do such thinks :). It was very interesting to me to find out that you have planned this trip months ago before you guys actually leaving to Leh, and that you trained yourself and workout to increase your body and your mind for this riding trip. I was amused when I read about your luggage ‘problem’ 🙂 what you have to take, what you need, how can you put all of that in your luggage. The way that you describe your trip from the beginning to the finish line was a really pleasure for me to read and find out about every each of your adventure times. You have had some bad times and situations to deal with, but you and your fellows did a good job and move on besides whatever happened to you. I think that this book and the riding trip it means a lot for you and your memories for your whole life. It is a great thing what you did and how you did it. You must to be very proud of yourself. I believe that this wouldn’t be your last trip and i think you have the next destination for a journey. It is true? It feels great when you receive a letter of appreciation from different parts of the world and from someone who you don’t know. It is a strange bonding which I share with some of my readers. I love the way they have millions of ways to express how they feel about what I have in my book and how I felt about my journey to the untouched, undaunted regions of the Himalayas. It all feels no less than re-living the entire experience while reading and re-reading the reviews about my book. It is no less than an award and a letter of appreciation. 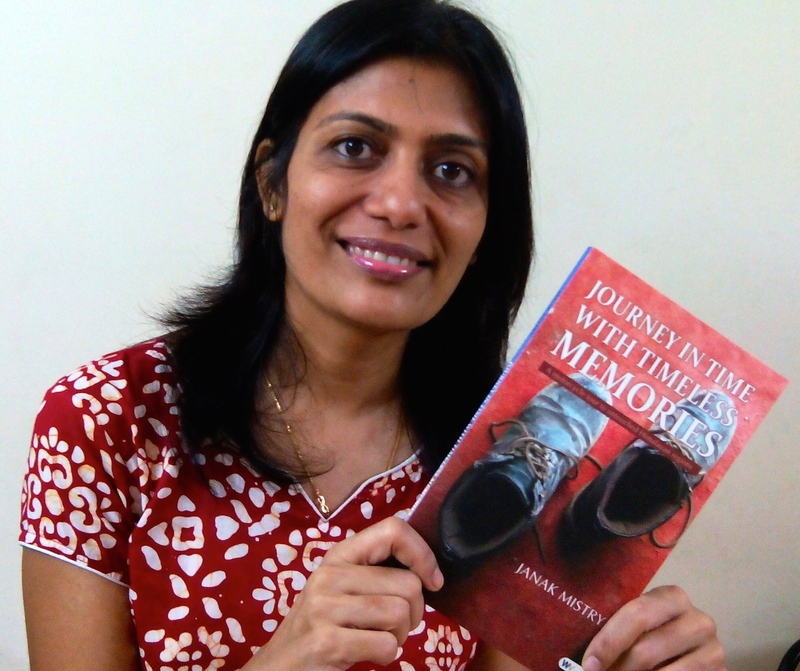 A big Thank you to all those who take time out and write to me about how the felt after reading my book. I would soon be featuring one person each week with their reviews.